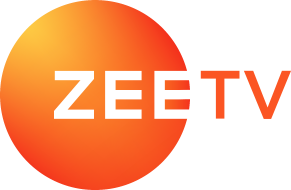 These terms and conditions (“T&C”) by Zee Entertainment Enterprises Ltd.(“ZEEL”) govern the digital auditions to be conducted for the show ‘Dance India Dance Battle of the Champions.’ (“Show’”) which will be telecast on “Zee TV” from ____________. Each person submitting their audition for the Show is hereinafter referred to as a “Participant”. A Participant can audition for the Show by submitting a video of their audition in the manner explained hereinafter. Information about the digital auditions will be made available through various mediums, including but not limited to television promotions and other ZEEL platforms; and social media platforms like Facebook, Instagram, Twitter, YouTube and ZEE5. A Participant must be over 7 years of age to submit their entry for the Show. In case of minors, entries can be submitted by the Participant themselves or by their guardian. Consent of the guardians is essential to participate in the Show. Once an audition entry has been submitted by a Participant, the same can be used for promotional purposes by ZEEL at its discretion. From amongst the Participants who have submitted their auditions, ZEEL shall select the best entries (hereinafter referred to as “Shortlisted Participant(s)”). ZEEL will contact the Shortlisted Participants who shall be required to provide their details necessary for the purpose of the Contest. If a Shortlisted Participant fails to respond or fails to provide such details as sought by ZEEL within timeline specified by ZEEL at the time of contacting the Shortlisted Participant, then such Shortlisted Participant shall not be considered for the Show. The Shortlisted Participants selected by ZEEL may then further be invited to Mumbai for an on-ground audition. The travelling, boarding and lodging at Mumbai for the on-ground auditions will be bourne by the Shortlisted Participants themselves and ZEEL will not provide any expenses or compensation for the same. However, if a Shortlisted Participant is selected for the Show after the auditions, ZEEL will bear the travelling, boarding and lodging expenses of such Shortlisted Participants. The T&C may be modified/changed/revised at the sole discretion of ZEEL. The Participants are solely responsible for paying all applicable mandatory taxes and charges levied/imposed by the Central, State and/or local government authorities, from time to time, including gift tax, octroi, vehicle registration charges, motor vehicle insurance without any liability towards ZEEL in any manner. Technology Limitations – ZEEL, all participating sponsors, and any of their respective parent companies, subsidiaries, affiliates, directors, officers, professional advisors, employees and agencies shall not be responsible for: (a) any late, lost, misrouted, garbled or distorted or damaged transmissions or entries (b) electronic, hardware, software, network, Internet, or other computer- or communications-related malfunctions or failures; (c) any disruptions, injuries, losses or damages caused by events beyond the control of ZEEL. Each Participant hereby declares that he/she is a real person in existence and not a computer programme. Employees of ZEEL, its affiliates, subsidiaries, any other business partners associated with this Show (collectively the “Employees”), and immediate family members and/or those living in the same household of Employees are not eligible to participate in the Show.